Want to learn the basics of essential oils? Sign up for my free Essential Oils 101 webinar (watch from the comfort of your own home). Interested in learning how to supplement or replace your income with a Young Living business? Check out this post and then email me to chat. Have you ever smelled fresh lavender and felt relaxed? Or tasted fresh-cut mint on a salad or smoothie and felt refreshed? Well then, you’ve experienced the therapeutic benefits of essential oils. There are many different kinds of oils out there, and they all have different properties and uses. From well-known plants like Lavender and Lemon to exotic ones like Frankincense and Ylang Ylang, there’s an unfathomably huge range to choose from – and they each provide all sorts of different benefits and uses. I wanted to find natural (and cheap) options to clean my home. My husband was tired of smelling vinegar in the house, and I couldn’t stand the thought of shelling out a small fortune for organic and natural household cleaners. I stumbled on essential oils as a natural way to clean my home, and I’ve never turned back. Since then, I’ve learned that essentials oils can be used to make homemade bath and beauty products like deodorant, body lotion and facial serum – while saving me a lot of money. I’ve also found that essential oils help me to relax, sleep better, and boost my immune system. Yes, really. And they can be used by the WHOLE family. I’ve got my entire family oily now, and share with my extended family and friends too. Essential oils are just so versatile. One of the most important things I’ve learned in my journey to healthy living is that it’s not just what something is – it’s where it comes from, how it’s grown, and how it’s processed. Just like we go to the farmers market to buy our food and want to know who grows our food, I wanted to know where my oils were coming from. I did many hours of research to find an essential oil company that I felt I could trust with my family’s health. Young Living is that company. They have been around for more than 20 years and the only essential oil company that owns farms all over the world (including France, Oman, Ecuador, and here in the U.S.) and oil distilleries. In fact, Gary Young, the founder of Young Living, built the first essential oil distillery in the U.S.
Their commitment to quality is called Seed to Seal. They have set the highest standards for planting, harvesting, and distilling on the farms they own and co-op. And best of all, you can see it first hand. Young Living members are encouraged to visit the farms (I’ve been to four myself) to experience Seed to Seal. The essential oils at the health food store are simply not the same quality as Young Living. Many have been adulterated with synthetic chemicals or contain cheap essential oils produced from crops with pesticides. Check the labels – they typically say not for “internal use” or “do not put directly on the skin”. I even challenge you to smell the difference. Peppermint, for instance, shouldn’t smell sweet or like candy. It should smell like a fresh-cut herb. When you compare Young Living’s Peppermint with another company – there’s simply no comparison. And Amazon is no better, unfortunately. 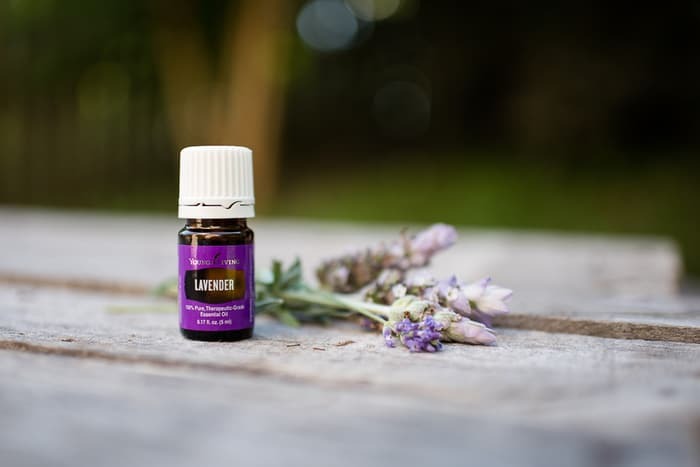 There are some imposter oils that are labeled Young Living, when actually they are diluted or replaced with fake oils. Yes, really. Young Living does NOT sell oils on Amazon. You can only get them direct from the company itself or through an independent distributor (like me). Quality is important – that’s why I chose Young Living. But you know what? Price is too. And of all the essential oil companies out there, I found that Young Living is HANDS-DOWN the best and more affordable starter kit. You can purchase Young Living therapeutic-grade essential oils in one of two ways: as a Wholesale Member or Retail Customer. I recommend buying Young Living essential oils by joining as a wholesale member. Why? And when you sign up with me, you’ll get personal support – by phone, email, text and through my members-only Facebook group – and a FREE BONUS GIFT from me. So why get a kit? It’s the best way to get started. Think of it like this… you’ve got more than salt and pepper in your spice cabinet right? Each spice has a different purpose. It’s the same with essential oils. The Premium Starter Kit is VERSATILE – you can use it for everything from skin care to wellness to cleaning to body care to sleep and even getting the kids to calm down before bed. 12 (5 ml) bottles of essential oils: Lavender, Peppermint, Lemon, Frankincense, PanAway, Thieves, Citrus Fresh Vitality, Raven and DiGize, Peace & Calming and Valor. Plus a bonus bottle of the popular Stress Away blend. So that’s 12 bottles of essential oils (your oily basics) and a diffuser and other goodies. That’s the best deal out there. Plus, Young Living has the biggest selection of single oils, oil blends, and oil-infused products. If you bought everything in the kit at retail cost, you would spend over $400. In fact, just the Everyday Oils Set (with the 10 essential oils and nothing else – no diffuser, no extras) is $170 at retail prices. When you order the Premium Starter Kit (which includes the 12 everyday oils, diffuser and other goodies), you’ll get the kit PLUS wholesale membership all included for just $165, plus tax and shipping. That’s nearly 60% off retail prices. BONUS: If you also enroll in Essential Rewards with an enrolling order of $200 PV or more, then you will also receive an essential oil reference book for FREE. Not sure how to do this? Just email me at tracey@dontmesswithmama.com and I’ll show you how. You must email me to to claim this bonus prize. *These gifts are only eligible for US residents. If you are outside of the US and order the premium kit you will get a $25 Young Living product credit plus my e-book emailed to you (I cannot ship reference materials or other supplies). ** If you do not finalize your enrollment with a premium starter kit in the same month you start the enrollment process, you will not be eligible for a goodie bag. “I’ve been using Young Living oils for a year now and I love them! We have stayed healthy all winter by diffusing Thieves. My grandchildren are now sleeping through the night because of their sleepy time spray. I now clean without chemicals and feel good about keeping my family chemical free.” – Karen W.
“Since I started diffusing essential oils in my classroom two months ago I’ve noticed my energy level improving and my students are always excited to come to class and see what our room will smell like each day. I have started to use homemade cleaners in my classroom to keep us both healthy and safe. 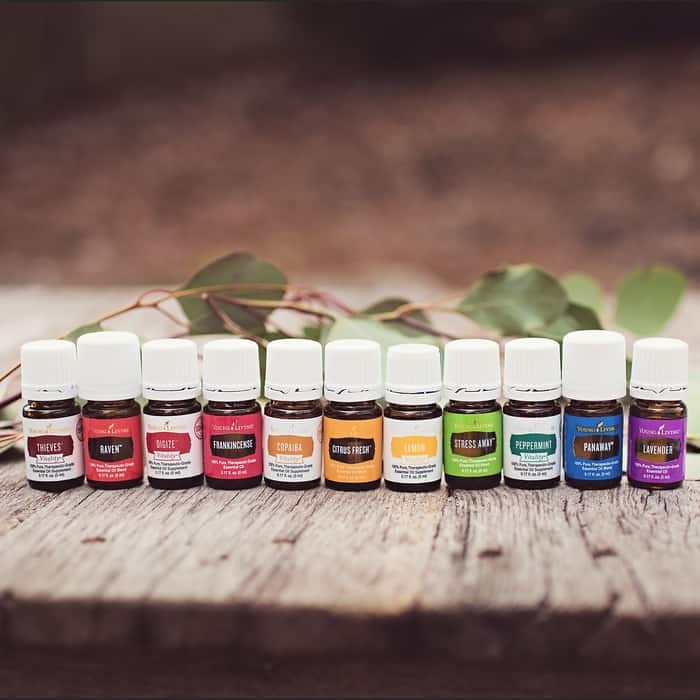 I feel confident that I am doing good for myself and my kids by using Young Living essential oils each day.” – Steph C.
“I LOVE LOVE LOVE my Young Living oils! I have bought lots of other oils over the years but nothing compares to the top quality of Young Living. I clean houses for a living and you can bet I use them for everything! The Thieves line of products are just outstanding! My grandkids beg for me to put Lavender in their hair after a shower! I’m still learning so much about how to use these beautiful oils. Can’t say enough great things about them!.” – Leah J. “I’m so excited to have my oils for my family and myself. I love them when I clean my bathroom, kitchen, and living room, when my family needs help with immunity boosting, and for cooking. I don’t think there isn’t an area of my life that has not changed to the better with my oils!” – Becky C.
1. Why should I become an Young Living Wholesale Member? In addition to the wholesale pricing (24% off retail price), you also have the option of sharing the oils with your friends and family in order to earn commissions and participate in promotions for free oils. If this is something you are considering, please email me at tracey@dontmesswithmama.com. I will be more than happy to help you get started! No. You do not have to order monthly in order to benefit from being a Wholesale Member. To begin as a Wholesale Member, you start with buying an enrollment kit. Just choose a diffuser option, and then you’re set. This is the same kit I purchased to get started on my essential oil journey. Essential Rewards (ER) is an optional loyalty program. When you join, you’ll start accumulating rewards points (10-20% on your qualifying order) for everything you buy, which can be used to get free products on future orders. You can join the ER program later – but believe me, this is great to join from the get-go. Young Living has oils for hormone support like Progessence Plus for women and Shutran for men, supplements like NingXia Red and Master Formula (multivitamins), beauty products (I love the ART skin care line), and even toothpaste (trust me, Thieves toothpaste will change your life). Community – Be part of a like-minded community to share testimonials, participate in giveaways, and build lifelong friendships with others. You’ll feel like your home with friends with this tribe. Support – You will get amazing support from both me and my essential oils leadership team – including calls, Skype or Facetime, text, email, or in-person. We connect with you how you want to communicate. And we have leaders all over the US and the world to help you no matter where you live. Education – No matter what your experience is with essential oils, we’re here to help. We have educational calls and video chats, reference materials, a lively online community, videos and much more. 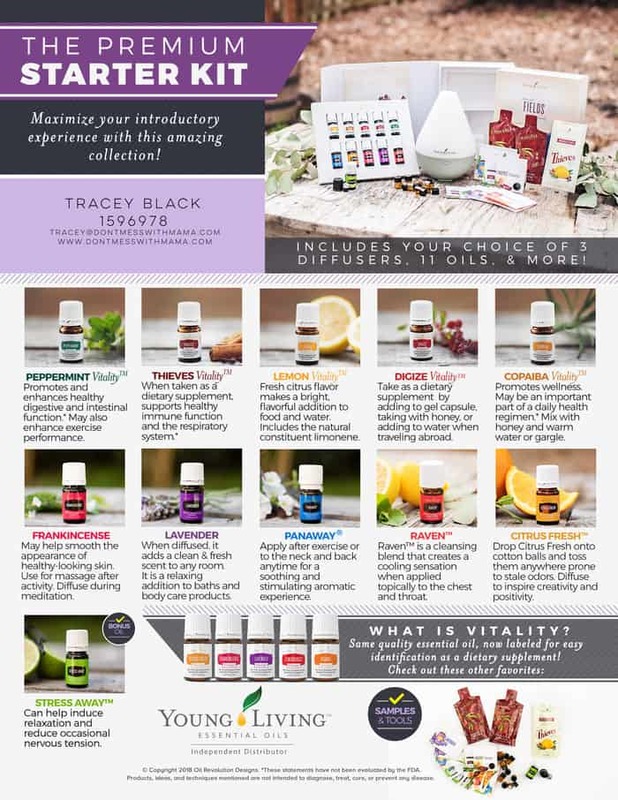 Our mission is to help you learn how to use your essential oils for vibrant wellness. Mentorship – It is completely optional to pursue Young Living as a business (and you’ll never get pressure from me), but if it’s something you do decide to do we have all the resources and training you need for a thriving essential oils business. Training includes extensive educational materials, weekly calls and video chats, social media training, photography and graphics, leadership training, exclusive events, and much more! We can help you to host your own class – everything from printed materials to class scripts. Email me at tracey@dontmesswithmama.com if you’re interested in pursing the business right away. p.s. I’m also a San Diego Young Living Essential Oils independent distributor with local classes, support and resources. If you live in the Southern California region, I teach San Diego essential oil classes – including Carlsbad, Orange County and other areas. Just email me at tracey@dontmesswithmama.com to find classes near you. I also have local Hawaii essential oils classes as well as classes by associate members all over the US and International. Email me at tracey@dontmesswithmama.com for more details. Hello! I’m interested in YL Essential Oils.